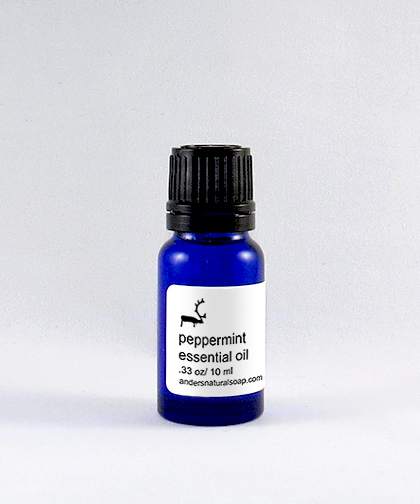 PEPPERMINT: Invigorating Peppermint essential oil is steam distilled from partially dried Mentha Piperita plants. It has been used therapeutically for centuries, as far back as ancient Egypt, and is prominent in Chinese and Japanese folk medicine. Used in aromatherapy, its refreshing and revitalizing scent has a powerful effect on the senses. Used in body care, it has a cooling effect on skin and helps to soothe sore muscles. It is naturally anti-inflammatory and antioxidant. Peppermint essential oil makes a great stimulating ingredient for skin products. Invigorating Peppermint essential oil is steam distilled from partially dried Mentha Piperita plants. It has been used therapeutically for centuries, as far back as ancient Egypt, and is prominent in Chinese and Japanese folk medicine. Used in aromatherapy, its refreshing and revitalizing scent has a powerful effect on the senses. Used in body care, it has a cooling effect on skin and helps to soothe sore muscles. It is naturally anti-inflammatory and antioxidant. Peppermint essential oil makes a great stimulating ingredient for skin products.